Are you looking for the best content marketing tools and plugins? Of course you are! You wouldn’t have clicked on this article if you weren’t. 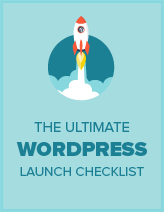 Having the right set of tools and plugins for your WordPress website can take your content marketing strategies to the next level, elevating you to new levels of success. In this article, we’ll share the 15 best content marketing tools and plugins for WordPress websites available. Tracking user engagement is a huge part of creating a successful content strategy. So is knowing your overall traffic metrics. Well, guess what: MonsterInsights helps you do both! By quickly and easily connecting your WordPress site with your Google Analytics account, MonsterInsights lets you view traffic and engagement reports directly from your Admin dashboard. Discover how visitors find and use your website, and adjust your strategies accordingly. Get Started with MonsterInsights Today! Do you have a high bounce rate? If visitors are landing on your website and leaving immediately, there’s a good chance they’ll never come back… Unless you use OptinMonster. With its patented Exit-Intent® Technology, OptinMonster catches users right before they click out of your website and shows them a message to convert them into subscribers, customers, or followers. As the best lead generation tool on the market, OptinMonster allows you to create gorgeous optin forms that you can effortlessly connect with your email marketing service or CRM software. Use this plugin to increase user engagement, lower your bounce rate, and skyrocket your email subscriptions. Get Started with OptinMonster Today! Without great content, there would be no content marketing. If your content isn’t up to snuff, and leaves your readers questioning your expertise due to grammatical errors, then Grammarly is the tool for you. Grammarly is the leading online grammar checking tool, and can be used just about anywhere, including your WordPress posts editor or your internet browser (they have add-ons for Google Chrome, Firefox, and Microsoft Edge). If you, or your content writing team, are ESL then this tool will help you sound more natural and professional to native English readers. Or, if you’re a native English speaker, but writing just isn’t your thing, Grammarly can help you hone your skills. Once installed, Grammarly will highlight all grammar, spelling, and contextual errors in your content. Get Started with Grammarly Today! Writing is the main element of good content marketing; however, professional visuals can turn “good” into “great.” With beautiful images to go along with your content, your chances for success increase exponentially. Canva allows you to make your own graphics, icons, infographics, and banners without having to break the bank for expensive editing software. This simple-yet-powerful image editing tool runs in your browser, and comes with a vast number of templates to assist you. Once you’ve finished your edits, export the image you’ve created and use it on your WordPress website. Get Started with Canva Today! Once you’ve created, bought, or found an image you want to use on your website, use the reSmush.it plugin to compress it. Why? Because large images take longer to load and will slow down your website’s speed and performance, negatively affecting your users’ experience. reSmush.it shrinks the size of your image files without affecting quality. You can also optimize image files in bulk, and even optimize older images you’ve already used on your site. Get Started with reSmush.it Today! No one will view your content if they can’t find it. That’s why it’s important to pay attention to your SEO (search engine optimization) so you can get a higher search rank on Google. As the world’s best WordPress SEO plugin, Yoast SEO helps you harness the full power of search engine optimization to boost your content’s rankings. It’s a full-featured SEO suite, that goes far beyond meta descriptions and tags. You’ll be forced to choose a focus keyword so your entire post can be graded and optimized, not just your meta data. Get Started with Yoast SEO Today! SEMRush is the favorite SEO tool chosen by thousands of professionals. If you want an in-depth peek into your competitors’ top organic keywords, advertising strategies, backlink techniques, and so much more, then SEMRush is the tool you need. With insights into your competitors’ SEO strategies, you can more-easily improve your own content marketing to keep up the pace. SEMRush also shares keywords you can easily rank for, keeps track of your backlinks, and provides other useful reports and data to help you succeed. Get Started with SEMRush Today! By default, WordPress doesn’t come with an option to add nofollow tags. This is unfortunate because most SEO experts recommend using nofollow tags for external links. Luckily, the Title and Nofollow for Links plugin exists to fix this issue! With this handy plugin, you can easily add title and nofollow options via WordPress’ insert link popup in the posts and pages editor. Get Started with Title and Nofollow for Links Today! Having a blog as a part of your content marketing strategy is useless if you don’t update it consistently. By using the Edit Flow plugin, you can set up your WordPress blog to add custom posts statuses, view an editorial calendar, and even leave editorial feedback for your writers. Edit Flow is a must-have plugin if you’re running a multi-author blog as part of your content marketing strategy. Get Started with Edit Flow Today! Have an entire team to manage? If so, then Asana is the project management tool you’ve been craving. Rather than wasting time with multiple emails, Asana organizes your tasks and conversations in one area. Increase your efficiency by not having to switch between endless emails and actual productivity! Get Started with Asana Today! Ahrefs uses powerful crawlers to monitor the web, and, by using their service, you can utilize those crawlers to scope out your competition. Quickly and easily discover why your competitors are ranking higher than you are, and how you can turn the tables on them! Track your backlinks and your competitors’ backlinks. Figure out the best paid advertising keywords. Or, use the content research tools to improve your blog posts. Get Started with Ahrefs Today! Automate your social media accounts with IFTTT. You can easily connect with all the popular social networking sites, as well as WordPress and other services. Trigger retweets, share images, automatically share your WordPress blog posts on social media, and so much more. Get Started with IFTTT Today! 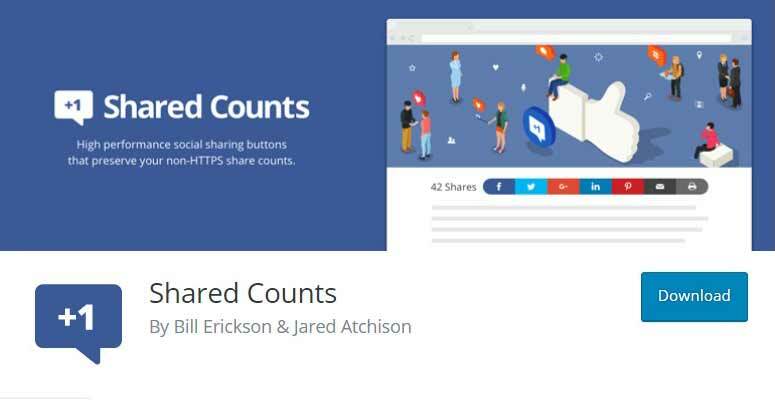 GDPR compliant and easy-to-use, Shared Counts is among the very best social media plugins for WordPress. It lets you add social media sharing buttons to your blog posts with ease. You can also display share counts, and the total number of shares for each article. And, unlike other plugins of this nature, Shared Counts won’t slow down your website! Get Started with Shared Counts Today! Enter in a keyword and find out what type of content performs best for it. Sound easy? It is. That’s why we love BuzzSumo. This unique tool also lets you discover key influencers in your niche, and helps you figure out the best strategy to email them, send a pitch, and get them to promote your content. Need help with an eye-catching, high-performing headline? BuzzSumo will analyze your topic choice, and report back with the most popular headlines, organized by social share rankings. You can even set alerts for your favorite keywords to stay on top of up-and-coming trends! Get Started with BuzzSumo Today! If your older articles are still relevant, why not continue to share them? 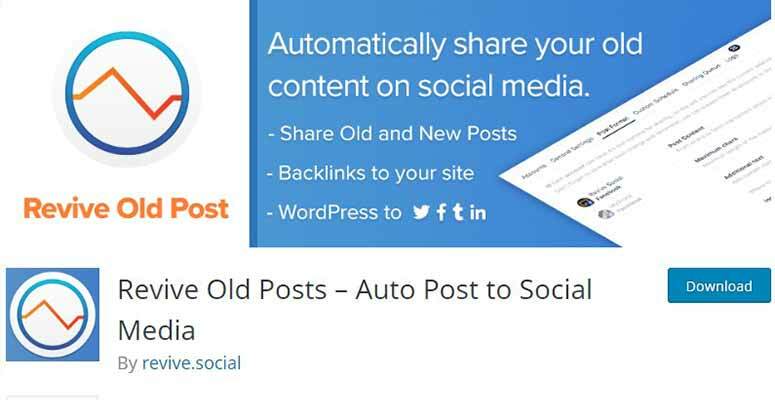 With the Revive Old Posts plugin, you can automatically share older blog posts on your social media accounts. Just set it, forget it, and let it do the work for you. By promoting old articles, you maintain a consistent online presence on social media; and new followers get to catch up on posts they may have missed out on previously. Get Started with Revive Old Posts Today! We hope this article helped you find the best content marketing tools and plugins for WordPress. If you enjoyed this list, you might also love reading our list of the 25 best business themes for your WordPress website.